Once our rehabilitation center is built, we will be recruiting a large number of volunteers. It definitely takes more than a village to rehab and release 3,000 birds every year! Volunteer tasks vary from cage cleaning, bird transport, and diet prep to helping with our education programs and fundraising efforts. Before you can volunteer at the rehabilitation center, you will need to complete our Volunteer Application and volunteer training program. This training program is necessary to meet Colorado Department of Parks and Wildlife (CDPW) requirements and is also a great way to meet other volunteers and staff members. It will also help make your volunteer experience at the rehabilitation center more satisfying, rewarding, and productive. The new volunteer training program consists of two parts - a three-hour classroom session and a four hour on-site session. You will need to attend the classroom session first and then sign up for the on-site session. Sign up for the on-site session will occur at the end of your classroom session. The cost for the training program is $20 payable at the start of the classroom session. Cash or check only please.  Please reply to volunteers@wildbirdrehab.com to sign up for your training session or if you have any questions. The specific location will be provided upon RSVP.